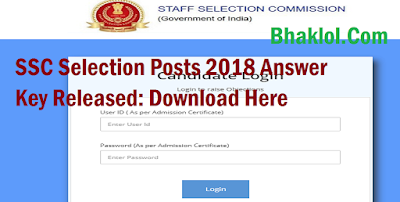 SSC had conducted Phase-VI/2018 Selection Post Examination for three levels of posts w.e.f. 16th to 18th January, 2019, in the Computer Based Mode. 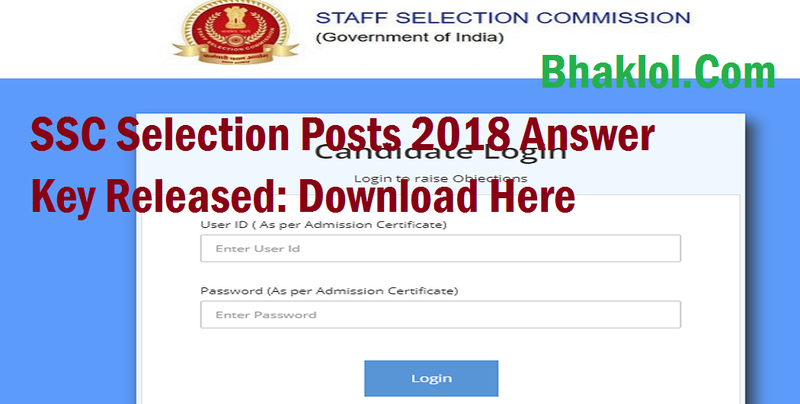 The tentative Answer Keys for the said Examination have been uploaded on the website of the Commission i.e. https://ssc.nic.in. The candidates may login using their User ID (i.e. Roll Number) and Password (as per Admission Certificate) and submit representations, if any, from 03.03.2019 to 06.03.2019 (6:00 PM) through on-line method only, on payment of Rs. 100/- per challenge. The candidates may take a print-out of their respective Response Sheets as the same will not be available after the above specified time limit.